This week’s winner iS @dribbleglass for his picture of the casino floor at M Resort. 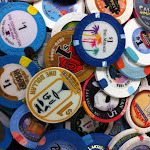 This photo is specifically of a table games area at the property. 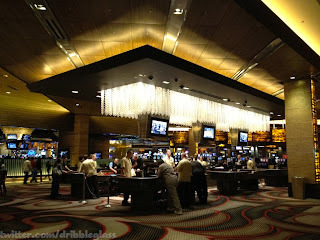 It also grabs a nice sampling of the rest of the casino floor and shows how beautiful the space is. Personally, I don’t really like staying off-strip, even staying at places like the Rio. Not because I don’t like them or think they’re cool places but because I feel like I’m out of the strip loop, like I’m missing the action. That being said, I would totally entertain staying at M for a night or two. I love this property. I think it’s the nicest locals property I’ve ever seen. If you have a car in Vegas, I highly recommend you check it out.